Do your customers also see it like this? As an operator of a banking server or EBICS server, you know that all of the spokes and wheels have to work perfectly together. If something gets stuck only in one place, important functions may fail or the customers are even cut off completely. Often the error is only noticed by a call to the customer hotline. Be the first to know about production problems via permanent monitoring of your server for availability and correct functionality. If a test differs from the expectations, the failure notification goes directly by email or SMS to your production control. But in addition to being regular and absolutely reliable, the automated tests offer other advantages over manual processes. Moreover, your specialists can now focus completely on their core tasks. Your customers not only expect that they can send their payments to the EBICS system. They also expect that the sent payments are correctly processed by the bank system after providing all of the signatures. Without complete test procedures, production monitoring is only ever a part. Meaningful monitoring is only created via end-to-end tests including analysis of the protocols of the bank system. Only by this means you can get a reliable statement about the correct functions of all involved systems. Tools that in turn require additional tools are not suitable for professional use. 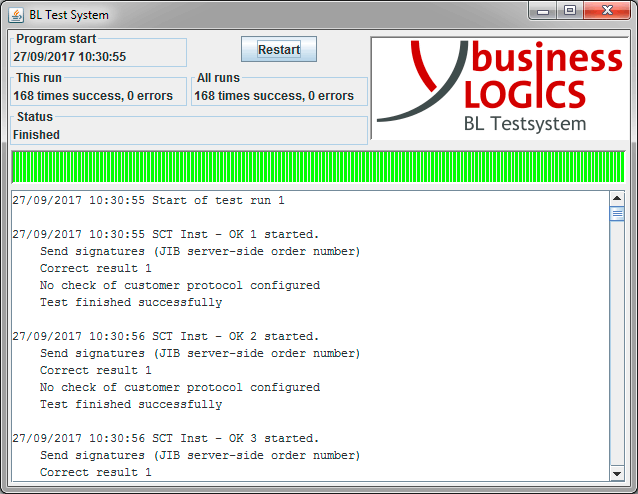 Therefore the BL Test System implements the complete EBICS standard. For Germany, France and Switzerland! Starting with initialisation, via usage of DES, the exchange of keys, to blocking an EBICS access: All functions are already provided as standard. Customer-specific tests can also be integrated easily using the plug-in interface. The system also includes everything you need for real practical use. With the aid of file generators you can for example create all common SEPA files with given values for account numbers, amounts etc. for your tests. Do you want to replace your existing EBICS server? No problem! 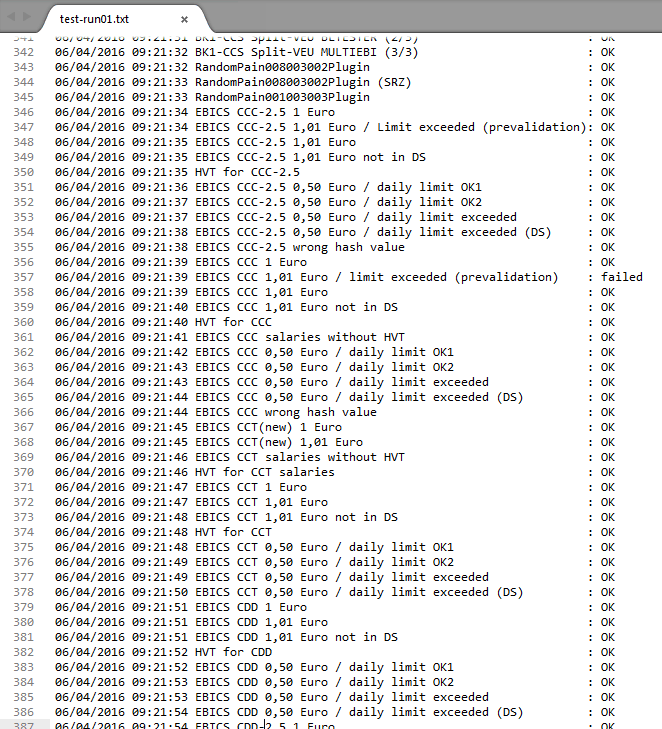 When changing bank systems, unpleasant surprises are not desirable. This applies on the one hand to you as the operator, but also in particular to your customers. To the customer it doesn’t matter, which logo is on your EBICS system, as long as it works as expected. To ensure that this is the case, you have to slip into the role of your customer and thoroughly check the service externally. Configure your test system simply with a test suite that matches the actions of your customers and allow the tests to run both against the old and new system. If all of the tests are green, you can switch-over! The system also masters the full set of features for SEPA Instant Credit Transfers. In contrast to the file-based EBICS standard, EBICS for real-time processing uses only one request/response pair. In addition, differences exist for the use of electronic signatures and for the provision of the application data inside the EBICS messages. The specifics for real-time transfers will be handled by the Test System automatically. All it takes is marking a test case as SCT Inst transfer. We offer all interested parties the opportunity to be convinced of the performance of the system using a test installation.